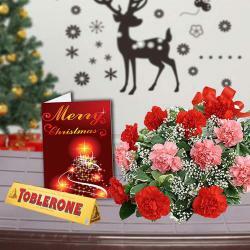 Product Consists : Glass Vase arrangemnet of 15 Mix Flowers like Roses, Gerberas and Carnation with some Green Filliers along with Christmas Greeting Card. 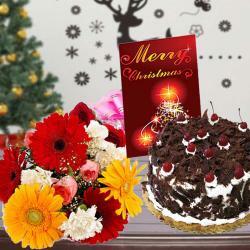 A spectacular gift is definitely the one that has delightful flowers clubbed with a Christmas greeting card. Let the flowers speak of your heart and Card do the talking. It is truly the best way of touching anyones heart on any occasion. 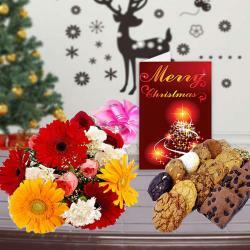 Order this hamper specially crafted for Christmas comprising of a bunch of fifteen mix flowers arranged spectacularly in a glass vase along with a Christmas greeting card. 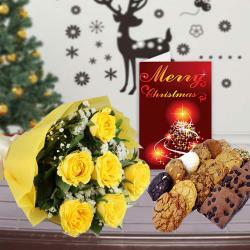 Simple yet very impactful, this hamper is all set to take anyones heart way. 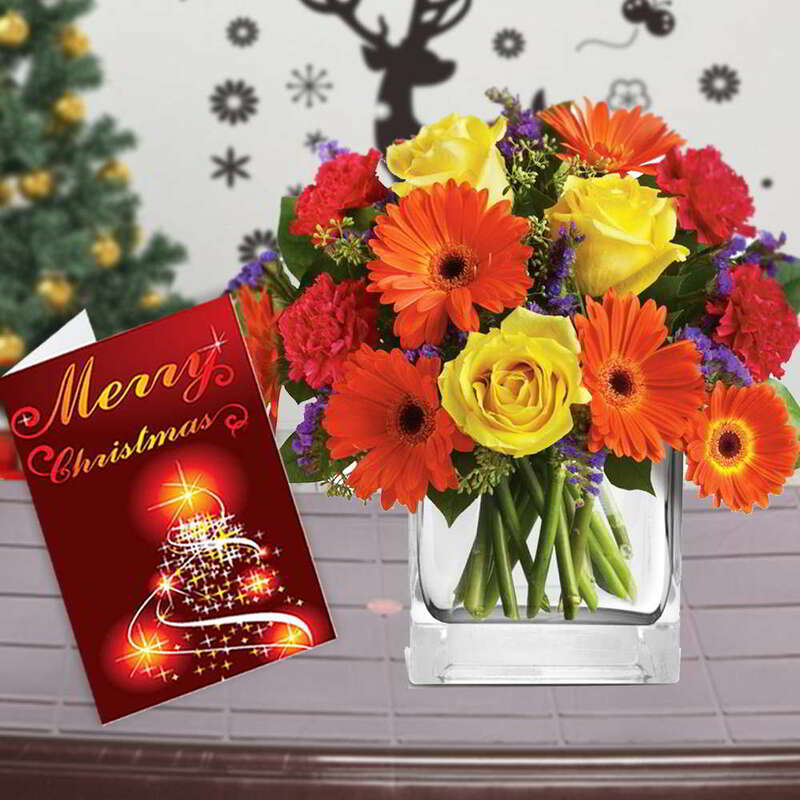 Product Consists : Glass Vase arrangemnet of 15 Mix Flowers like Roses, Gerberas and Carnation with some Green Filliers along with Christmas Greeting Card.